PLEASE RATE ME…I’M FREE! 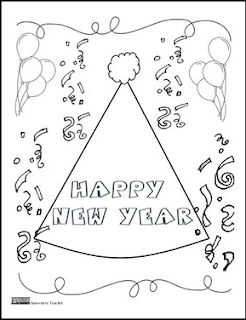 Help your students celebrate a New Year with this easy to use coloring page. Print and Enjoy! New Year’s Day Coloring Page by Melissa Craig is licensed under a Creative Commons Attribution-NonCommercial-NoDerivs 3.0 Unported License.